At McFadden Friendly Motors, we strive to provide you with the best quality vehicles for the lowest possible price, and this Compass is no exception. This vehicle has been quality inspected, serviced and is sold with warranty! So stop in, call or click today before this great value is gone!!! See our entire inventory at www.mcfaddenfriendly.com! At McFadden Friendly Motors, we strive to provide you with the best quality vehicles for the lowest possible price, and this Cherokee is no exception. This vehicle has been quality inspected, serviced and is sold with warranty! So stop in, call or click today before this great value is gone!!! See our entire inventory at www.mcfaddenfriendly.com! This Jeep has popular equiptment group with 7 touch screen, Uconnect hands free phone, rear back up camera, power windows/locks, hill start assist and more. At McFadden Friendly Motors, we strive to provide you with the best quality vehicles for the lowest possible price, and this Compass is no exception. This vehicle has been inspected, serviced and is ready for immediate delivery! Stop in, call or click today, before this vehicle is gone!!! This vehicle has been quality inspected, serviced and is sold with warranty! So stop in, call or click today before this great value is gone!!! See our entire inventory at www.mcfaddenfriendly.com! Are you looking to upgrade your daily drive with a new car, truck, or SUV? At McFadden Friendly Motors in South Haven, MI, you’ll find an expansive new inventory of Chrysler, Jeep, Dodge, and RAM models for you to browse through. Whether your family needs room to grow or you’re looking for an efficient solution for your daily commute, there are seemingly endless options at our dealership in South Haven, MI. Take a moment to check out the Chrysler, Jeep, Dodge, and RAM models currently in stock, and narrow your query using our search tool. If you have any questions regarding the new inventory at McFadden Friendly Motors in South Haven, MI, call a product specialist at (877) 589-6292. Do you want to add a Dodge muscle car or Chrysler sedan to your driveway? At McFadden Friendly Motors in South Haven, MI, you’ll find a number of cars like the performance-oriented Dodge Challenger and the luxurious Chrysler 300. Regardless of your needs, you’ll find a model that compliments your lifestyle and budget. Easily find the model you’re looking for by selecting the sedan body style filter on our search tool. After you’ve found a specific model you’re interested in, learn more about performance, technology, and safety features by reading our model research pages. Is adventure calling your name? Hit the open road or take the path less travelled in a new Dodge or Jeep SUV for sale at McFadden Friendly Motors in South Haven, MI. From the Jeep Cherokee to the Dodge Journey, a new SUV provides the cargo capacity and performance you need to tackle your daily to-do list. Check out the new SUVs for sale at our dealership by using our search tool. Get more information about trim levels, technology features, and interior space by heading over to our model research pages. Take your workday to the next level with a new RAM pickup truck. You’ll find the ideal RAM 1500 or 3500 in the new inventory at McFadden Friendly Motors in South Haven, MI. Learn more about the capability and performance features offered by RAM pickup trucks by reading our model research pages. 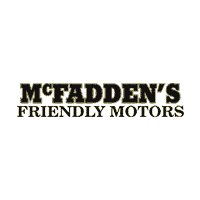 McFadden Friendly Motors is conveniently located to serve several nearby towns including Benton Harbor, St. Joseph, Georgetown, Holland, Kalamazoo, and Texas Charter Township. If you live in the surrounding area, come visit our dealership off of M-140 highway. Call our dealership at (877) 589-6292 to get the quickest driving directions or to schedule an appointment.